It’s time to lighten up your home! If you need to revamp your interior design project, you need to discover these 5 modern floor lamps. Keep scrolling and get inspired! Inspired by the amazing personality of Herbie Hancock, Herbie floor lamp provides a brilliant warm vibe to every mid-century modern room. With a structure handmade in brass, its matte black exterior is complemented by a matte white interior shade. This tripod floor lamp is the perfect spin from mid-century design classics to a commemoration of pop culture. Tailor-made in brass, Jackson floor light features three lamp shades with matte black and gold plated finishes and textile red wires. Hanna is a vintage floor lamp that will suit perfectly in your mid-century modern living room or vintage retro design hallway. With a structure made of polished marble estremoz and with multiple lamp shades made of brass and aluminum, this floor light is a pure mid-century modern lamp full of grace and charm. Torchiere is probably one of the most functional lamps of DelightFULL. 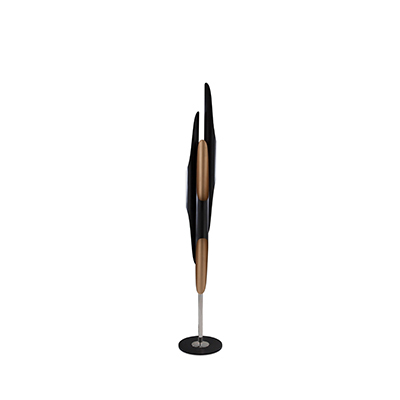 Ideal for your mid-century modern office and reading corner, this floor light will add elegance to every single space. With Torchiere, your lighting options are truly limitless. Armstrong arc floor lamp has a minimalistic style with a clear usability, perfect for every single modern Scandinavian living room or office. 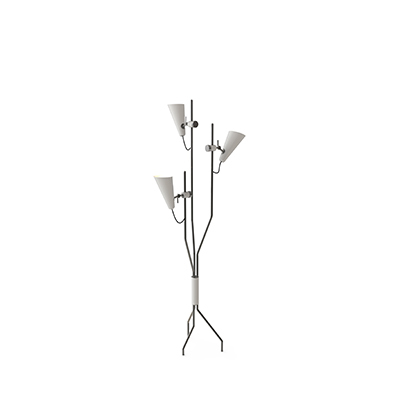 This Nordic light combines a mid-century design with a structure handmade in brass and a base in white Carrara marble.